Today you're more blessed, happier and with more strength. Congratulations. Happy Birthday. 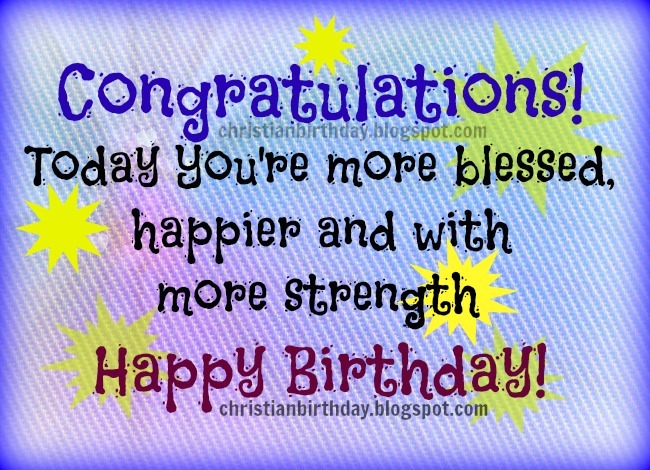 free christian image for birthday, free christian birthday quotes for woman, man, son, daughter. Free cards.